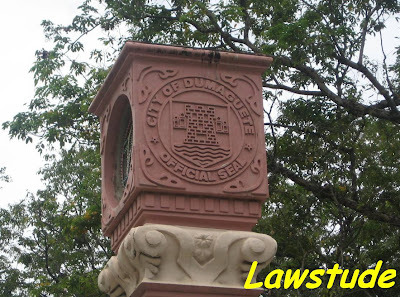 After a little more than an hour travel via Fast Craft from Tagbiliran City, I arrived at Dumaguete City in Negros Oriental - The City of Gentle People. My two day itinerary here include a tour around the City on the first day and a trip to Bais City to watch dolphins and whales on the second day. 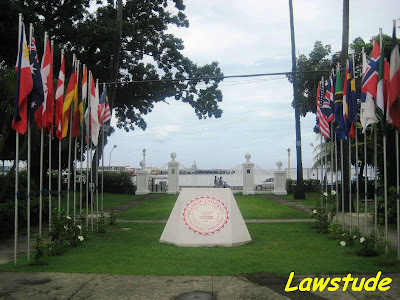 Upon entering Dumaguete, the first thing you will notice is the Rizal Boulevard because it is the capital's seafront boulevard. It is lined with old trees and memorial houses and some of the elegant dining houses of the City. 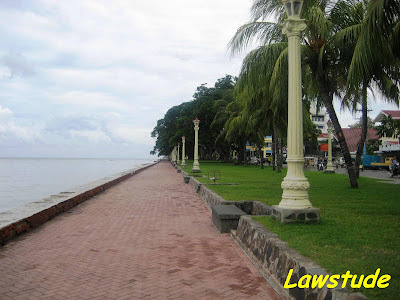 Similar to Manila's Baywalk, it is also Dumaguete's most popular promenade and sunrise jogging tracks for health buffs. 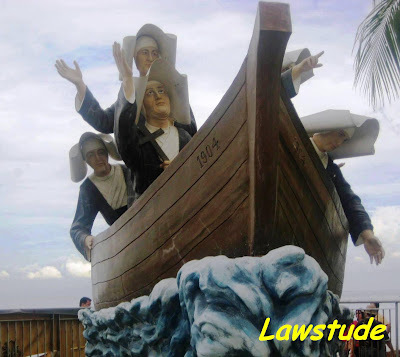 Also located in Rizal Boulevard is a Stone Boat Monument honoring the Sisters of St. Paul of Chartres. The landmark commemorates the Centennial of the coming of the Sisters of St. Paul of Chartres to the Philippines. It was on that site that seven Sisters landed on October 29,1904 and were joyously welcomed by the people of Dumaguete. 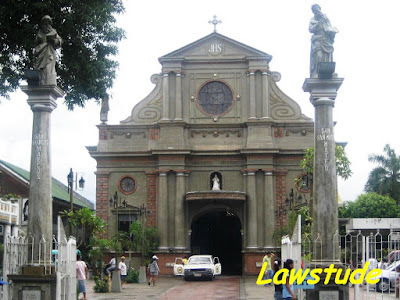 Our next stop is the City center where Dumaguete Cathedral is located. 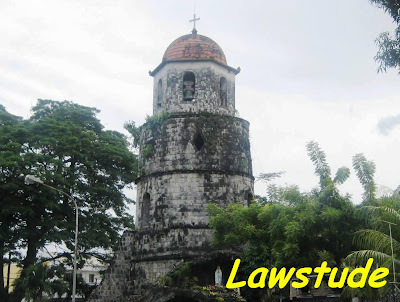 More popular than the Cathedral itself is the Campanario de Dumaguete. This bell tower of the Cathedral of St. Catherine of Alexandria was erected in 1811. It served as a watchtower to forewarn town folks of impending attack of marauders. Restored in 1985 and skirted with a garden ten years later, the belfry has become the City's most popular architectural landmark. Then we proceed to Silliman University. The university was founded in 1901 and prides itself to be at the forefront of education in Visayas. 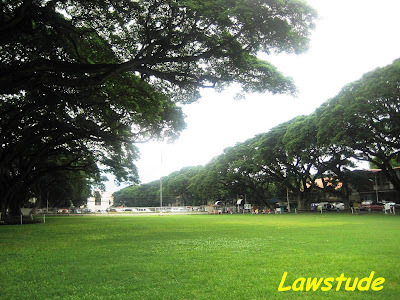 In both my accounting and law courses, students from Silliman were among the Topnotchers in board and bar examinations. Within the University, we visited the Anthropology Museum. 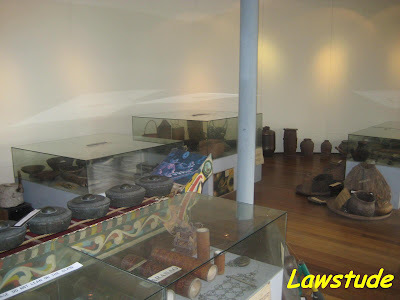 The museum is an exhibit of artifacts and archeological findings , some dating 2,000 years and an ethnographic collection from minority tribes in the Philippines. The second floor of Silliman Hall is in itself a cultural relic of old America. Last stop on our itinerary is the Marine Laboratory in Bantayan. 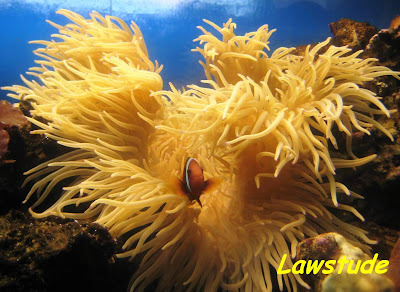 The laboratory has an aquarium which is said to be a replica of the reefs of Apo Island. I learned that Apo's striking Baluarte Rocks landmarks this internatinally acclaimed dive site teeming with spectacular coral gardens and abundant marine life. 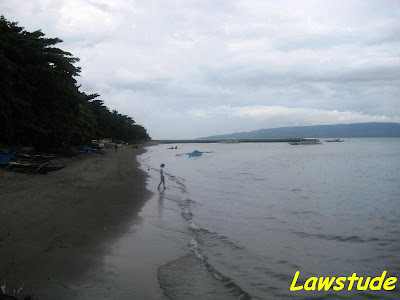 Lastly, to sample Dumaguete's rich beaches, we walked barefooted at the Bantayan Beach for about an hour before we headed back to the hotel. The tour might have ended at 6 pm but the fun never ended there. Dumaguete's nightlife is very much alive but I guess because I may incriminate myself here it is better if I'll stop my post here. Next stop... Bais City. Ganda pictures. sarap naman pala dyan sa Dumaguete. In a crazy busy world, I am glad that you find ways to enjoy nature. I enjoy your posts keep it up. @ anonymous - thanx for droppin by. @ panyero - oo naman. pero baka malapit na ko masisante kasi sa oct 16 punta ko Cebu. By the way, goodluck sa Samar Trip mo ha. Take Care. @ alice - thanx for droppin by. nature really takes the stress of life anytime. just blog hopping. i enjoy the pictures specially the last one. nice blog you got in here. come visit my blog and let us share the wonders of life. good luck. I think I just found nemo. Well, I just recently found your page and I must admit I spend about 2 hours cruising through it.